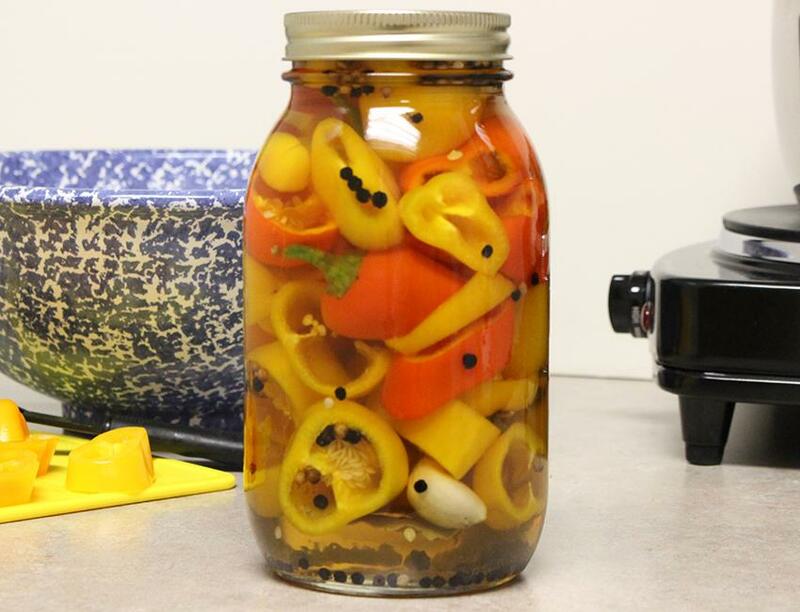 Enjoy this pickled peppers recipe as a quick and easy snack for any day of the week! Start by vertically slicing the sweet peppers. Then pack them into the jar. Next, pour the water and Seasoned Gourmet Rice Vinegar into a pot and boil. Once the brine is boiled, pour it into the jar with the peppers. Finally let it cool and store in fridge.